When you are shopping for a replacement prop for your boat you need to do your homework. With so many different styles and sizes, choosing the right propeller can be a daunting task. If you know you want a propeller with the same diameter and the same style of blades you need to move on to choosing a material. There has been a lot of debate on whether stainless steel or aluminum boat propellers are better. To make the best investment, you should understand the pros and cons of each. Review the benefits and challenges of each and then make your decision. If you have any questions on whether to go aluminum or stainless steel, reach out to the experts at Propeller Depot. Aluminum propellers are the most common because they are very affordable and offer good performance under most circumstances. One reason why many boaters choose aluminum propellers over stainless steel applications is because aluminum weighs about half as much. These propellers are also very easy to repair when damaged. While aluminum is a great choice it can flex under extremely high rpms and this will cause a drop in pitch. The blades often tend to be thicker than stainless steel blades so they will cause more drag. They are not ideal for sandy conditions so you must consider use. Stainless steel propellers are designed for high performance and they are the most durable choice on the market today. They have thinner blades which will reduce dragging and will not flex when you are traveling at high speeds. They are also designed for abrasive environments and can handle adventures in sandy and shallow waters. One of the biggest setbacks has to do with price. Stainless steel is simply a more expensive material and it is more difficult to repair when damaged. These propellers weight twice as much as aluminum which means you need a more powerful engine. Ultimately, the decision depends on use. If you are not looking for power, the aluminum prop may be the right choice. If performance is your primary concern, stainless steel props will better meet your needs. 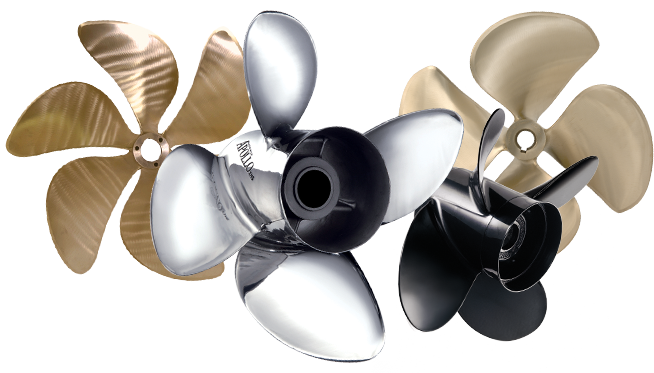 Consider durability, pricing, and overall use when buying your boat propellers. Propeller Depot offers the best SOLAS and Michigan stainless and aluminum propellers for your boat, at the best prices. Use the Propeller Guide at Propeller Depot to find the absolute best options for you boat.